GCU London is the postgraduate university campus of Glasgow Caledonian University (GCU), located in an ultra-modern environment in the heart of London. Situated in Spitalfields, one of London’s most attractive locations, GCU London is in proximity to the capitals globally recognised financial and fashion industries. The campus offers a range of MBA and MSc courses, high quality teaching, and links with international businesses. As home to the British School of Fashion, a unique mix of fashion programmes are offered, including the world’s first MSc Digital Fashion Strategy, which have been developed to meet the specific needs of the fashion industry, in a fast-changing and challenging consumer market. The School has built strong links with industry over the years and many of these companies are world leaders in their field. Students benefit from its on-campus Marks and Spencer’s studio as well as Masterclasses from leading industry academics such as Imran Amed (CEO of The Business of Fashion). The university is an institution which believes "careers come first". Excellence in education lies at the heart of GCU's mission; therefore, GCU aims to equip students with the necessary skills to excel in their chosen professions by offering high quality, flexible and accessible learning. GCU London is committed to delivering a high-quality student experience through award-winning support services, and promotes employability and global citizenship in our graduates. GCU London provides students with an enriching and diverse learning experience underpinned by a vibrant international, intellectual, and cultural life. It attracts students from over 56 countries, from a range of backgrounds from all corners of the world. International students can benefit from a range of support services offered from the university, such as Development Workshops and English Language Courses for international students, Positive Living and wellbeing counselling. The Students' Association represents GCU London students and works hard to enhance all aspects of their student experience. Find out more at the GCUL Students' Association on the GCU London website. 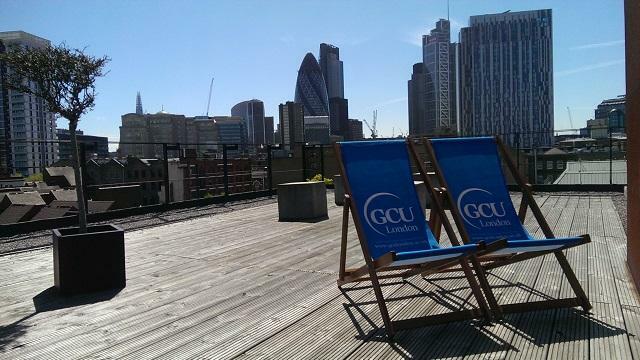 GCU London offers a range of scholarships to support international students in studies. These are funded by industry, trusts, and friends of the University. Scholarships may cover fees, and/or provide a maintenance grant. To find out more about scholarships please visit the GCU London website. If you have any questions regarding scholarships, please email enquiries@gculondon.ac.uk. 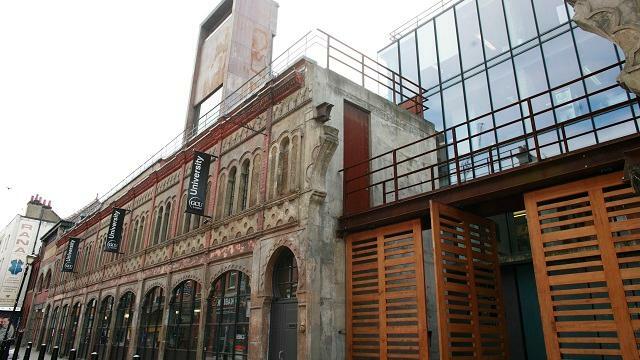 "London is a fashion capital, and GCU London is located in the home of fashion – Brick Lane. The relationships between students and professors are so close; it feels like we are one big family. Thanks to our professor, I am now unafraid of expressing my opinions and asking questions in front of people even though I am not a native speaker."